Video game company Creative Assembly are mainly known for their Total War series of video games, which has been going strong since the great Rome: Total War was released way back in 2004. That game became an instant hit and sold millions of copies, letting players take over the world in ancient times, commanding massive Roman legions in the game’s stunning 3D tactical battles. After Rome: Total War, Creative Assembly released sequels for both Medieval: Total War and Shogun, with Total War: Shogun 2 being perhaps the high point of the series, a game that refined the Total War formula, letting players take control of feudal Japan while waging huge real-time battles on the game’s life-like and colourful battlefields. After Shogun 2 came a sequel to their critically acclaimed Rome: Total War game, which wasn’t so well received mainly due to the plethora of bugs and glitches the game shipped with in late 2014. What all previous Total War games had in common though, was that they focused on the warfare of a specific time period, and that the games’ different factions (such as the various Japanese clans in Shogun 2) did not feel that different when playing these games. 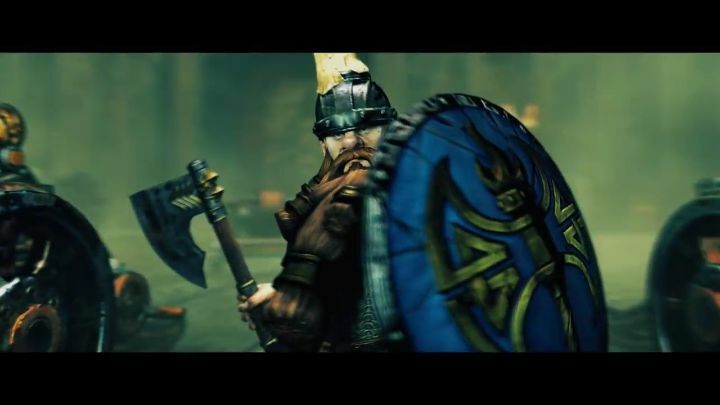 But with their latest release Total War: Warhammer, Creative Assembly is ditching the historical accuracy of earlier games and going for a fantasy setting, as their latest strategy game is set in the Warhammer universe, which is something of a cross between Warcraft, Game of Thrones and Tolkien’s The Lord of the Rings, and somehow feels like an ideal setting for a Total War game. The trailer above, titled “Conquer This World”, introduces the game’s 4 factions, which unlike those in earlier Total War games have a completely different look and feel, and will surely play very differently in the game’s campaign. Next: Will the Force be strong in LEGO Star Wars: The Force Awakens?